Remember when $1 million dollars was a lot of money? It was not too long ago that the term "millionaire" meant you were in the leagues of Thurston Howell or Howard Hughes, a yacht-owning, caviar munching member of the luxury class. Today, one million dollars is still a lot of money, but it hardly puts you in leagues of the super-rich. In some Toronto middle class neighbourhoods, it is quite common to be a millionaire, especially when it comes to real estate. I've seen teachers, labourers, even cleaning ladies become millionaires when they sell the houses that they purchased in the eighties, in once humble Toronto neighbourhoods, for seven figures thirty years later. Nowadays, as far as Toronto is concerned, the established neighbourhoods have no problem hitting the million dollar mark, but even the more advanced emerging neighbourhoods like Leslieville, the Junction, and Beaconsfield are closing in on the million dollar mark and, in some cases, surpassing it. Now, there are two ways of looking at this phenomenon. One is to say wow, houses are sure overpriced in this city and we are due for a serious and much needed correction. And that may be true, but I would more likely think that we are undergoing a certain transformation in this city that is fundamentally changing how this city functions. And it's changing so fast, it is hard to keep up with which neighbourhoods are emerging next. For example, you may have visited or lived along Queen Street West when it was the cool part of town and a cheap place to rent from a nice Portuguese landlady at at reasonable price in the nineties. The thing is, the cool thing, whether you like it or not, has been made public. When Vogue calls you the 2nd coolest neighbourhood in the world, some may roll their eyes, but it does say something. When people move to this city from New York, Chicago, London or even Oshawa, they will Google the cool neighbourhoods, and up pops Queen West. And that's where the newcomers want to go because they do not know much about Toronto, but they want to live somewhere uniquely urban. So, this humble strip becomes a destination. The hookers who used to hang out across from Trinity Bellwoods take their business elsewhere. The 20 something cool t-shirt shops or that place to buy a bong gives way to designers and top notch bakeries and restaurant. It is not as chi chi as Yorkville. It still has some grit to keep it interesting. But there's no denying that this neighbourhood is becoming wealthier. A Northcott home, for example, that was once a rooming house, became a house featured in a architectual and design magazine. Now, I'm not saying all of this to affirm how awesome Queen West has become for the jet set and the super fancy. I do, however, think something very interesting is happening in our city. Living downtown is becoming a luxury for those of us who like to live in houses. The hub of wealth in Toronto is shifting from the midtown to downtown centre east and west. I'm also suggesting that those who bought up early when places like Trinity Bellwood near Queen east or Beaconsfiled sure made a killing when this neighbourhood was still emerging and had some of the roughness from its past. That's why there's been an explosion of Canadians buying property abroad in Florida, Hawaii, Australian, Europe and South America. They have built up equity in their home here in Toronto. 1. Houses are good investments in Toronto because they don't build them very often any more in the city limits. It's simple supply and demand. Supply is limited, but demand grows. 2. Traffic is making the idea of a short commute to the city centre a lot more appealing. The closer you are to downtown or easy access to it, the better. The time is coming where the cost of a home may depend on the distance it is to the downtown. 3. There are other emerging neighbourhoods to watch. I don't know if we'll ever see something as trendy as Queen West or Ossington or Leslieville occur as fast, but it's happening in the area around the Junction Triangle along Bloor and Lansdowne, and along Wallace. It's happening in the Danforth Village, the area along St. Clair West, up to and past Dufferin. And there are other neighbourhoods that are still less expensive that I believe will be worth a lot more one day. You have to roll the dice, be patient with the rough-around-the-edges neighbourhood, and chances are, they will improve in value. Not every neighbourhood in this city, but some key ones. The momentum for living in Toronto (and many other cities) is growing. Toronto will be a very different place in 20 years. 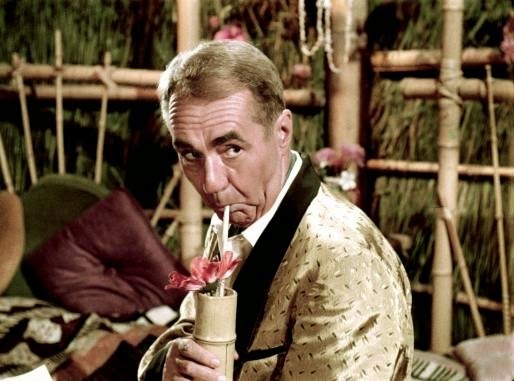 Maybe, if you take a leap of faith with your real estate investments, you could be a millionaire like Thurston Howell or Howard Hughes. Sure, a million dollars may be worth even less in 20 years, but you will likely prosper from Toronto's transformation.